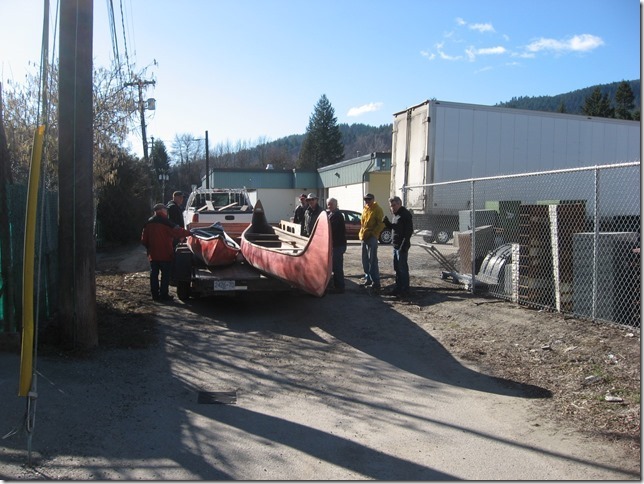 Many thanks to the gentlemen of United Grub Inc. who did a fine job this morning loading two Koolaree canoes on a trailer at Dr. Singer’s and unloading them in Doctor Don’s super shop; Ken Brownlie, Herman Manarin, Chris Foster, Ed Beynon, Terry Fleet, John Thompson, and Don Ellis. (Hope I got everyone.) 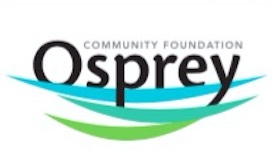 A huge thank-you also goes to Herman’s neighbour who kindly provided the truck and large tandem trailer. Unfortunately I didn’t get his name but his contribution really made the job a breeze. With all the help, the move went off like a charm. 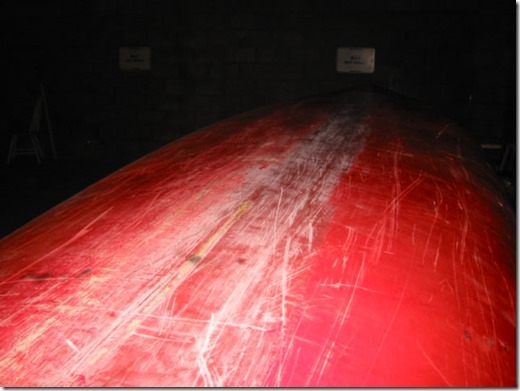 The war canoe was given a quick wipe down to remove some of the accumulated dust so we could have a look at the scrapes in the fibreglass. 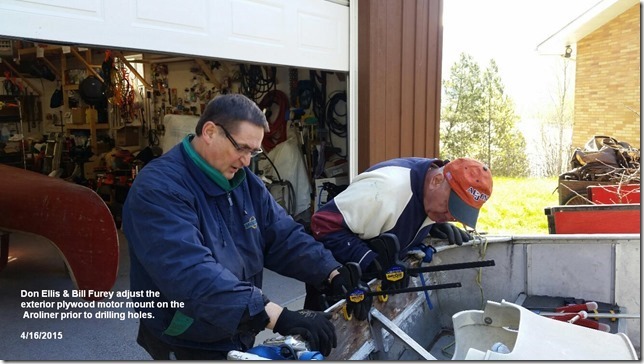 Hopefully over the next while we can get the canoes cleaned, patched, re-varnished and painted – ready for another summer at Camp Koolaree. 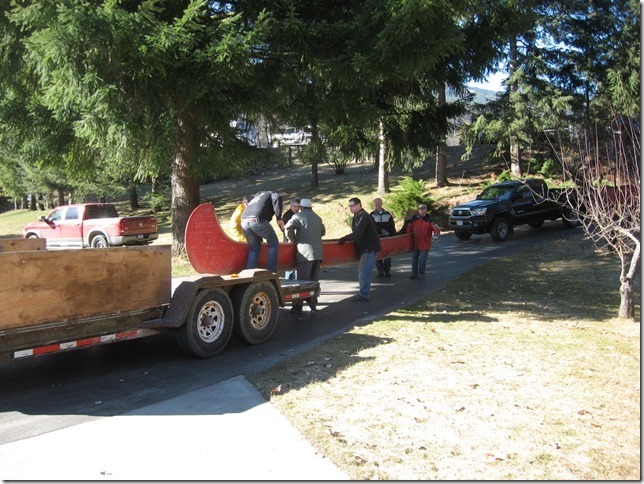 It’s been quite a few years since the war canoe was at the camp. The smaller canoe was one that was found floating in the lake. It also has some hull damage and if time permits may be repaired too. About 11:30 I phoned Norman Whitehouse while having coffee with Terry, Ken, and Chris at Tim Horton’s after the move. I discovered that he and Theo Huitema had just arrived at the Koolaree dock. He said there was still about three feet of water there. 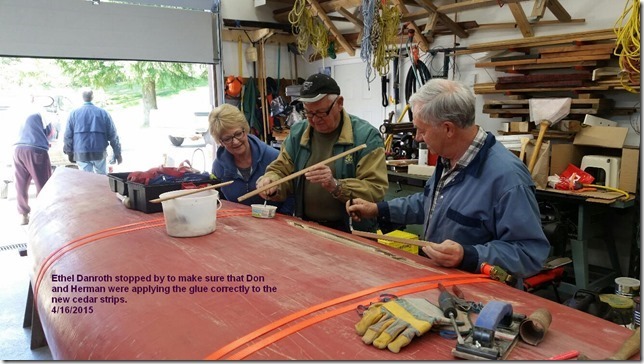 I asked Norm if he could bring out the canoe paddles so they could be re-varnished and he said he would drop them off at Don’s. On Sunday afternoon Don and I will likely haul the Starcraft Starchief down to his place so it can be cleaned up before we deal with the engine problems it seems to have. Lots of things to do yet, but at least we’ve got a start on them. 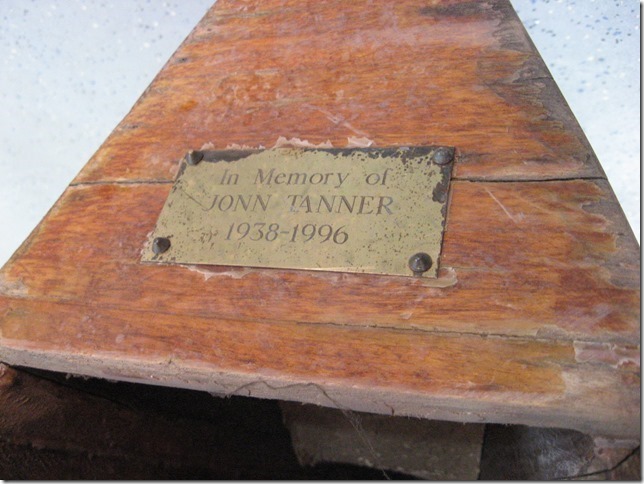 Anyone know who Jonn Tanner was? The plaque is affixed to the war canoe. Though we had hoped to do this work outside today, we were fortunate to have been sheltered from the showers in Don’s Super Shop. Both Dons were hard at work when I arrived at 09:00. 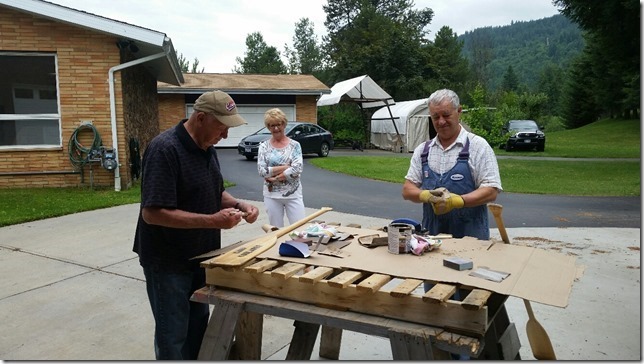 In the photos below are Don Danroth (black hat) and Don Ellis (white hat). 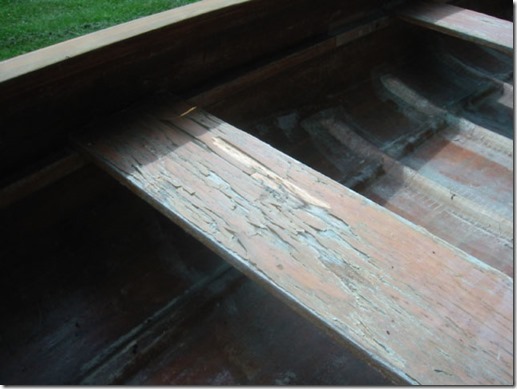 Over the course of three hours the hull was sanded and the damaged section was chiseled out until good solid wood was reached. 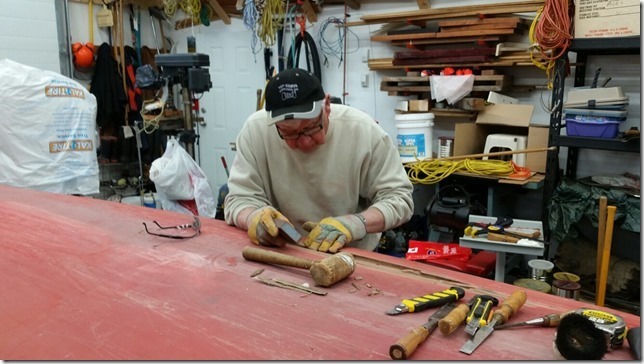 In Photo #2, Don is using his Dremel tool with a grinding disc to cut out a small finishing nail which had been installed to hold the strips together when the canoe was constructed. (Don wanted a photo showing the spray of sparks.) In total, three decayed cedar strips and a number of rusty finishing nails were removed. Part way through the morning, Herman Manarin showed up and left with an armload of canoe paddles that he will sand down. He also took a couple of samples of the cedar strips and will make some new ones. Tomorrow I will give him my bead and cove “Canoe Bits” so he can reproduce the profile on the new pieces with his router. A little later, Don’s wife, Margaret, showed up during a break with a tray of coffee, fruit and cookies. Thanks, Marg, you’re a gem. That was just what we needed! 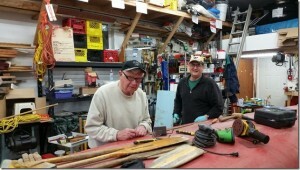 Thanks also to Terry Fleet who picked up some canoe paddles for re-finishing yesterday. 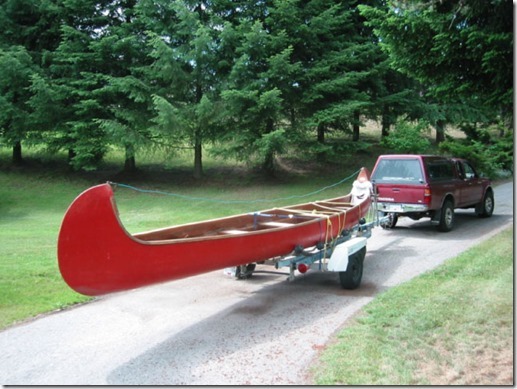 I recently mentioned that the canoe was 25’ – 2” long. We re-measured it today and it seems to have grown over a foot! It’s now 26’ – 3”. Several hard working gentlemen and the photographer got together this bright sunny morning to work on the Camp Koolaree boats. 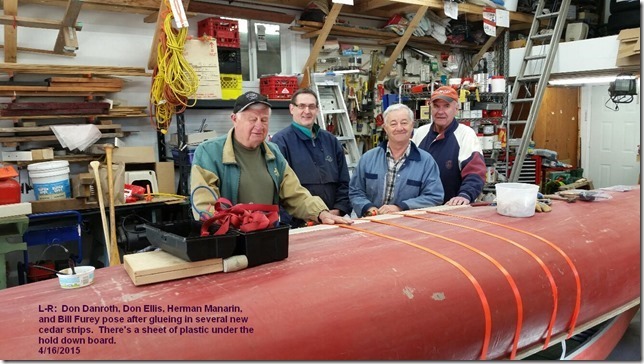 Herman Manarin and Don Danroth spent their time carefully fitting and gluing several of Herman’s beautifully made new cedar strips into the hull of the big canoe while Don Ellis, Bill Furey and I fitted up the new plywood motor mount panels on the Aroliner so we could install new bolts. It will take a day or so for the glue to set properly in the canoe and then the straps and hold-down board can be removed so the new strips can be given a final sanding to match the contour of the hull. We still have a bit to do before we have the Aroliner’s motor mount panels securely bolted to the hull and every hole caulked water tight. Another hour or two should do it. Since the last time I was down at “Don’s Marina” he had removed the floorboards in the Aroliner and had vacuumed out last year’s accumulation of sand. Don E. may have time this weekend to pick up some fibreglass cloth and other supplies for the canoe while he’s in Vancouver. 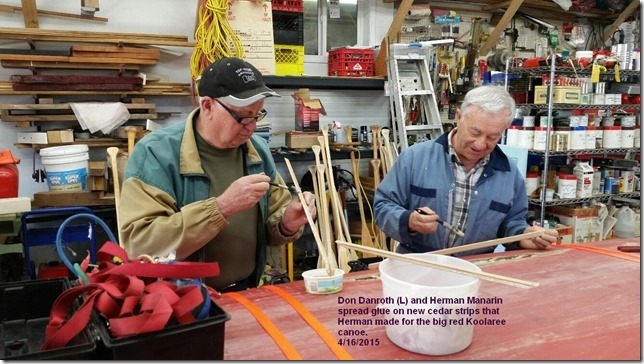 This afternoon, Bill Furey, Don Ellis, and I got a start at adding some fibreglass reinforcement to the tips of some of the camp’s canoe paddles. (Okay, we got eight done.) 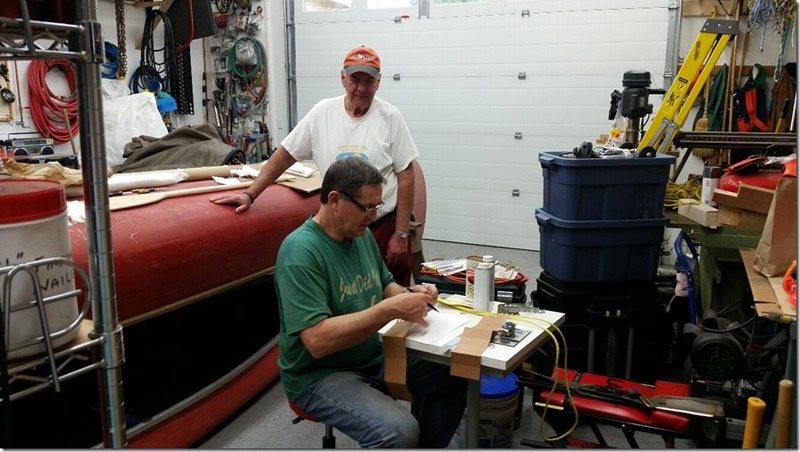 The photo shows Bill supervising as Don sets up a “Camp Koolaree” stencil which will be applied to each paddle before they are varnished. More work is planned for tomorrow and perhaps Saturday. 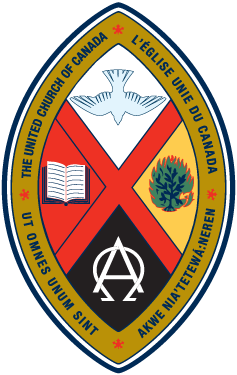 On Tuesday evening June 2nd, Scott McLean of S.A.M. 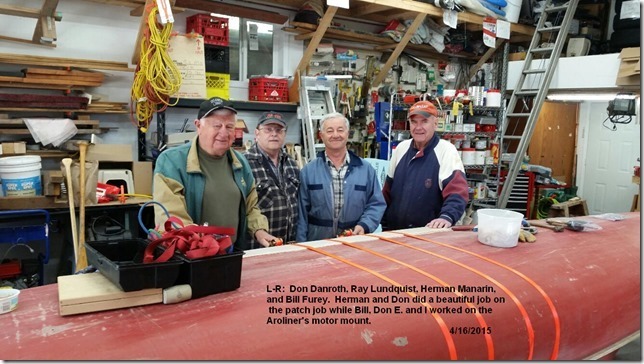 Marine Repair will come down to Don’s and have a look at what ails the Merc 90 on the blue Starcraft Starchief super cruiser. Sorry, I didn’t get any photos of the actual fibreglass process as my gloves were spotted with sticky resin. 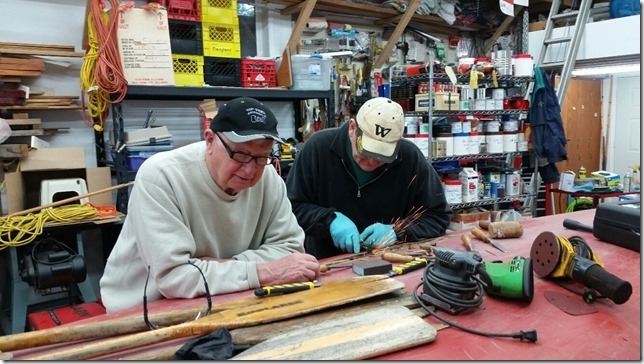 Today the Paddle Fixin’ Trio gave all the Camp Koolaree canoe paddles a light sanding and laid on another coat of spar varnish. In the photo, Quality Inspector, Ethel Danroth, keeps a safe distance back as husband Don (L) and Herman Manarin get set to apply the finish coat to the first of about two dozen paddles. Following a couple of hours of diligent work, Don treated us to a well deserved coffee at Tim Horton’s. Nice job, fellows. 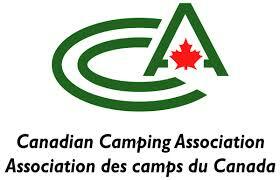 The paddles are now hanging from a rope stretched across the shop and once they are dry will be taken out to the camp. 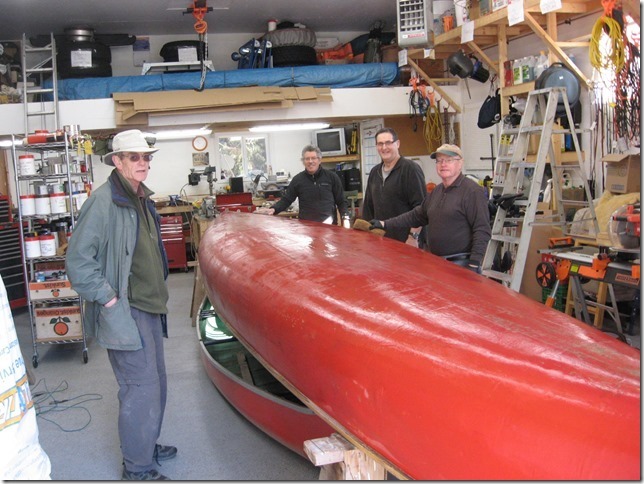 There might be enough varnish left to do the seats and other woodwork on the big red canoe. That will be the next project.